Just as your physical body needs physical food, your true spiritual self, Soul, needs spiritual food. Without daily spiritual nourishment you will wither. Yes, you may be alive, but this does not mean you truly have life. It was the Sunday after Christmas 2015; I was drinking a delicious cup of coffee and just enjoying a day off from work. After doing some household chores I noticed I was very hungry. I was looking for something to eat and couldn’t find anything until I looked in my fridge. There I found leftovers from Christmas dinner at my daughter’s house that my son-in-law so kindly packed up for me to take home. I had forgotten they were there and quickly proceeded to fry up some of the ham to make the most awesome ham and egg “Dagwood” sandwich. Barely getting my mouth around the huge sandwich, I thought of how useless my food pantry is if the food is forgotten and not used. I could starve while having a fully stocked pantry of unused food. This immediately reminded me of a major spiritual lesson I learned from Del, my spiritual teacher at the Nature Awareness School. Del talked about our spiritual pantry, comparing it to a food pantry. A spiritual pantry is full of spiritual tools available to use to stay spiritually nourished. Tools such as singing HU, a love song to God, reading of scriptures, our journals full of recorded dreams and class experiences, and more to be used for our daily “spiritual bread.” Soul needs nourishment just as the physical body needs food. As I was enjoying my sandwich I began to remember all the food dreams I have been given by Prophet to show me how I had been starving spiritually. That is when I made the connection about forgetting the food in the fridge, my food pantry, and how it parallels my lesson about my spiritual pantry. Using the tools in my spiritual pantry daily uplifts and raises the bar for all my physical life experiences. The main reason for this is that staying spiritually nourished helps us recognize God’s blessings in our life and the presence of Prophet who is always with us. Jesus said it much better in the Bible after he had been fasting in the wilderness for forty days and forty nights: “And when the tempter came to him, he said, If thou be the Son of God, command that these stones be made bread. But he answered and said, It is written, Man shall not live by bread alone, but by every word that proceedeth out of the mouth of God.” Matthew 4:3-4 KJV This quote from the Bible shows us just how important spiritual nourishment is for us. If we stay nourished spiritually we can begin to enjoy the abundant life we were meant to live. The HU sing we are hosting is going to be a great opportunity to raise up and connect with your eternal, spiritual side. Many years ago I watched a friend bring her husband a cup of coffee while he was busy at work. It was a simple act, but profound in the lessons and insights it has brought me over the years. Back then, I had a very different perspective on this than I do today. At the time, I saw it as subservient; a duty expected of a woman by a man. I wondered why did not he get his own coffee. My view was coming from a low level, so condensed and narrow that it distorted everything, like wearing a pair of broken glasses. I had reduced something done out of love to a gender thing and, in my ignorance, could not see the beauty and selflessness demonstrated in this act. I carried a lot of unhappiness and pain of the heart back then, because this way of living and experiencing life left little room for love, and it separated me from God and my own divine nature. We are so much more than male and female, skin color, religious affiliation, age or any other physical or social label. We are Soul! Eternal beings, created by God and endowed with divine qualities; and we are here to learn to give and receive love. From this view of Soul, a boundless expanse exists. When we open our hearts to God’s love, it lifts us to a higher view and a whole new world of unlimited possibility and love awaits. 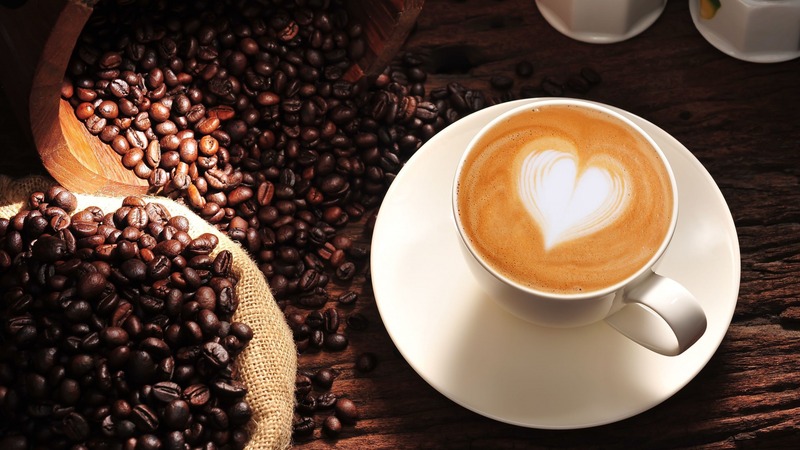 We begin to see the infinite ways love can be expressed and appreciate all the ways it may come back to us, even in something as seemingly small as a cup of coffee. The size and packaging of the love that’s delivered does not make it more or less significant. Love is love. Any act motivated by love, big or small, is special. Divine love fills my heart and uplifts every aspect of my life today. It may come directly from an inner experience or through family and friends, work, laughter, pets, singing of birds, the sunrise… all life. And, it brings me joy being able to share this love with others. This is my heart’s true desire. I am happiest being in service to God and giving of myself whether it is through compassion or charity to a stranger, listening to a friend or spending quality time with family. Love is best when demonstrated. God’s love, grace, and spiritual guidance through Del, a true Prophet of God, has helped me grow from seeing through “broken glasses” to having the clarity of Soul. This changed my life and is available to assist you in your spiritual journey too, if your heart desires. Does this story resonate with you – would you like to operate as Soul and experience more of God’s Love? Would you like help seeing clearly? Come experience the HU on June 7th. There will be time afterwards to share with my Father and receive insight and guidance about your experience.